Funeral and memorial bookmarks are a great funeral keepsake to hand out a funerals, memorials, celebration of life and homegoing services. Funeral bookmarks are used to commemorate the life of your loved one, and you can keep it with you. These bookmarks are long, slender flat cards that have a some type of background graphics and a photo of your loved one. The back of the bookmark can have a poem, scripture, or even a brief obituary or biography. 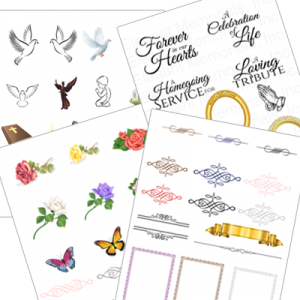 These cards can be laminated and can be embellished with a ribbon for You can making funeral and memorial bookmarks at home quickly and easily. Follow these steps to make a bookmark that honors the life of your loved one. Step 1 -- Get a photo of the deceased (optional) and decide what inforation you want to include. 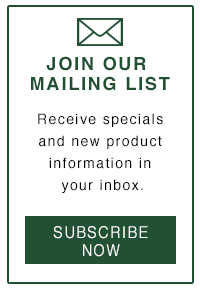 You should find a photo that you will include on your bookmark. Although a photo is optional, pictures give your bookmark a more personalized touch. You should also decide what you will put on the back. You can put a poem, prayer, scripture of life sketch on the back. You will also need the birth and death date, and you may want to title your bookmark with something like "In Memory of" or "In Remembrance". You can also add memorial clipart to make your bookmark even more personalized. You can choose many different designs for your funeral bookmark cover. You can have plain, conservative or colorful background. You can also choose a floral, landscape or religious background cover. You can either design the bookmark yourself using a software program that you are comfortable using, or you can use a memorial bookmark template. By far, a template will save lots of time, since it is preformatted. All you will have to do is insert the information that you want. Choose a template in a software program that you are comfortable using. Common bookmark template software includes Microsoft Word, Publisher or Pages. Purchase a template from a company that has some kind of customer service, either by phone or email. Make sure you understand how your templates layout and paper size -- Does you template print a single bookmark or does it print 4 per sheet? 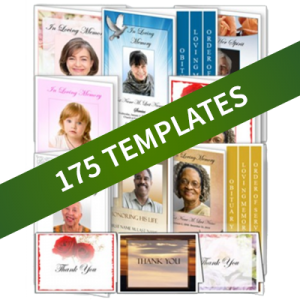 Cover Photo and caption such as "In Loving Memory" or "In Remembrance"
Back Panel Information: This can be whatever you want. You can add a bible verse or favorite poem. You can also include an obituary or life sketch that gives personal information about the life of your loved one. For more information about what to write on the back, see our articles on memorial bookmark poems, or how to write an obituary or life sketch. 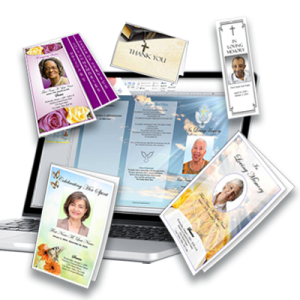 Funeral or Memorial Clipart -- You can add additional clipart to give your bookmarks an added personalized design element. Do a test print first, to make sure that the bookmarks print properly. If printing 4 per sheet, cut your test print sheet and inspect the front and back to make sure it is correct. Once you have a good test print, you can print all of your bookmarks. Make sure you have enough ink on hand before you start printing. If your templates print 4 per sheet, you can cut your bookmarks out. You could also use pre-scored paper that you can easily fold and tear. Once your bookmarks are cut out, you can add decorative ribbon. You can also laminate your bookmarks.